The AutoCAD blocks Windows library is a very nice assortment of windows in elevation view. This is a great starter library and all the blocks can be edited to create any size window and any style window needed for your design projects. 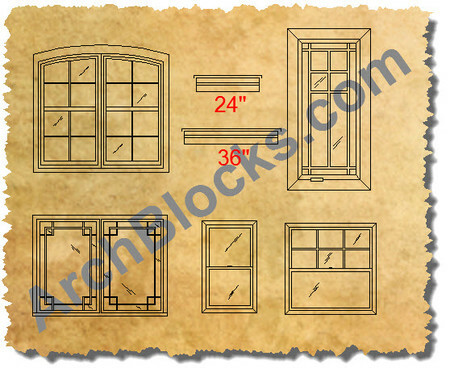 There are several different window styles available from basic window design to custom arched window CAD symbols. Save time and download this window CAD blocks library NOW! 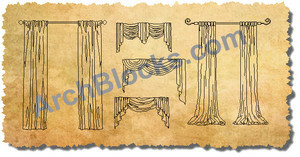 There are 27 CAD window blocks in this symbols library.